Financial markets are essentially burying their heads in the sand about rising interest rates in the US and the end of QE in the Eurozone, according to Patrick Artus, Chief Economist and member of the Executive Committee of Natixis, an investment bank and asset managers with about $900 billion in assets under management. Investors have been spoiled by central banks and their highly expansionary monetary policies “for such a long time” that they “cannot believe” that the Fed and the ECB “can end these policies,” he writes. In the US, investors see a “muted” Fed reaction to the return of wage inflation and consumer price inflation. They expect only three fed fund hikes in two years, rather than the three in 2017 alone that the Fed has suggested, followed by a similar number in 2018 and additional hikes in 2019. 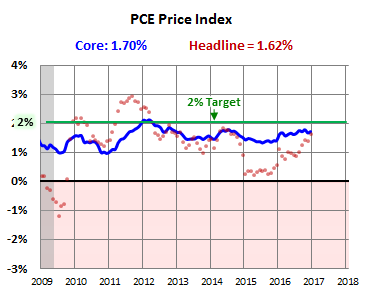 The Fed reacts much more quickly to wage inflation than consumer price inflation. But it never reacts to asset price inflation. And wage inflation is returning to the US. Earlier this month, the jobs report pegged wage inflation at 2.9%. This gives the Fed, which is trying to keep the cost of labor down, the willies. 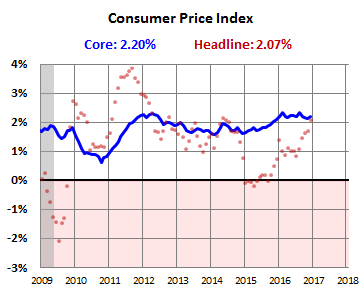 In addition, backed by higher energy prices, consumer price inflation “will be quite high and core inflation will exceed the Federal Reserve’s target in 2017,” according to the report. With both the Fed and the ECB, “investors have so been used to central bank ‘laxity’ that they cannot believe it will come to an end,” he says. And so they’re willfully underestimating the impact of wage inflation and consumer price inflation on central bank decision making. When investor expectations correct, financial markets – and especially bond markets – will react. Long-term interest rates will rise markedly more than expected currently. His forecast pegs the US 10-year Treasury yield at 3.3% by the end of 2017, up from 2.47% today and up from 1.35% last summer; and the German 10-year yield at 1.1%, up from 0.44% today and up from a negative yield last summer! Proportionately, these are huge moves and entail big losses for bondholders. Wolf, what do you see the effect of this on precious metals ? I’m, let’s say, “conflicted” about PMs. Given the uncertainties and the rise of inflation, part of me wants to think that they’d do well. The other part of me knows that the cycles of PMs last a lot longer than my patience. This is partially based on my own experience, with silver having been my first major investment loss in the early 1980s … I’d done all the right things, waited till it had plunged 30% or so and bought physical. A year or so later, I sold at a 50% loss. It went on to get totally crushed for another 15 years or so. The problem with PMs is that some highly indebted nations accumulated too much of them (which is an example of great wisdom, according to gold bugs). They may have to begin sell-off should the credit situation worsen. Another problem is similar to “peak oil” theory: it’s not really that hard to continue extracting them from the ground. An don’t forget that demand relies heavily on medieval traditions of mid east nations and India. It is no illusion that there are several hundred trillion dollars of derivatives in the world, which are just leveraged bets, weapons of mass financial destruction I have heard them referred to. Interest rates at zero, debt bubbles as far as the eye can see world wide, mmmm, I wonder where the money will panic to for safety when that all blows up. 1. It will go towards irrelevance. 2. There will be a failure to deliver on a contract in the next couple of years. After that the price will go to the moon. But then again, this might take a couple of years to play out. The actual problem with PMs is that the fundamentals of supply and demand have been superseded by a fake pricing mechanism….which is set by derivatives rather than physical trading of the commodity. The actual ownership of title underlying any physical goal “managed” by central banks and gold depositories is so convoluted that outsiders have been trying to unravel the mystery for 25 years….but are unable to do so since no physical audit (including title accounting) is ever performed within the system the gold banks have set up. It’s just a blizzard of paperwork which works in a circular manner to hide that multiple entities hold simultaneous title to the same oz of physical goal. Since only a very small minority of physical ever leaves the “system”….the con can continue until someone forces the system to cough up a significant portion of the gold…which remains unlikely until we have a significant period of global gov’t failure which triggers a true accounting. NotSoSure, failure to deliver simply means markets go to cash settlement, or liquidate only. Japan 2001 palladium is an example, 1980 silver is another. Rules can change in 5 minutes. Anyway most contracts don’t stand for delivery. There’s a lot of nonsense written about the 100 to 1 or whatever ratio between futures contracts and deliverable gold and silver. Yes, medieval traditions such as thinking money is supposed to be a store of value. The Indians, who are said to be ruled by love (“the love trade”) in buying gold (how medieval) instinctively know that the 1% who rise to the top of government often can not be trusted, but a silver or gold coin can- and what just happened there: a so-called populist PM, Modi, made 86% of their paper money worthless- some store of value, that (and in doing so carrying the can for their too-big-to-fail-bankers who wanted to replace even paper money with pixie dust- digital money. But Modi was too clever by half. Even with their shriveled incomes, many are now buying, and presumeably using gram-denominated, unofficial silver coins which have sprung up. It would be nice if it remained a peaceful revolution, like the U.S. states saying FU to the Feds and selling pot to raise funds, but, as in medieval times. they are probably going to have a fight on their hands. Wolf was an 80s Duran Duran 'Stacker'! PMs face some headwinds: large players selling off the futures market, competition from virtual currencies, possibility that countries will target them for abolition like they are doing with cash. For my two cents, I believe that PMs will hold value in the long term better than cash, but that you would be better off putting your cash to work elsewhere in a reasonably priced productive asset. But, I wonder whether a credit shock to the financial markets would bring down the prices of many financial assets, including the miners who aren’t well capitalized and prices in the gold/silver markets? If you have faith in $, then hold $ and take on risks to invest and yields more $. If you think like this, the all arguments of gold did not yield $ or even lose in terms of $ is irrelevant. The first question is to ask whether you want $ or NOT. Then you decide whether you want to hold gold or take risks to invest. Who does not want $ since it can buy milk, gas and services? Future purchasing power? As long as my real yield is positive after inflation, I am fine. This is the thinking that gets the wealth transfer happen and you will be the one to get transferred FROM, not TO. reason dictates its time to back up the truck. while even gold bugs only reco 10% of the portfolio be in PMs, (that is a really low number isn’t it?) imagine if 50% were the standard allocation. CBs will hold gold as long as their customers have an interest, when the rehypothecation curtain is lifted they are seen holding less than they said (swimming naked, holding derivatives of gold, when the tide goes out). owning gold is like going to war in Iraq, it may be wrong, it may turn out badly, but there are more reasons to do it than not to do it. Then, there will be further policies enacted to shake the few coins left in regular folks pockets into the open and grasping hands of the rich and connected. I think they call it ‘modern capitalism’. Or is it ‘Kleptocracy’? I forget which. Beam me up, Scotty. It’s crazy down here. If you have two guys working, one makes $10/hour, the other makes $20/hour. The latter loses his job. So you end up with one guy working for $20/hour. Is that wage inflation, I wonder. 10 guys, 6 working, 4 jobless. Of the six working, one gets a big raise. Is that wage inflation too? Depends on how the metric is calculated. Using averages with wages is bad statistics as outliers can significantly impact the average. The better metric is to use the median (50th percentile). If this is rising then I will believe the wage inflation number. Until then, its just another useless metric. 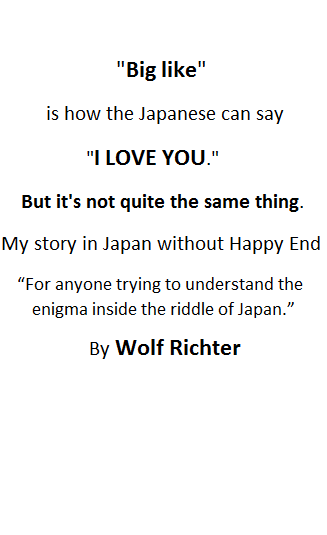 Well Wolf, here is another experience. The day Nixon closed the gold window my dad stepped into action and started adjusting his portfolio. He bought 5 full junk silver bags as soon as he could. No one was paying attention then at all. (I remember those heavy canvas bags well). He sold 4 of the 5 between $30 and 38 and ounce when the frenzy got crazy. He sold the last one at $12 an ounce one the down slope, a mere 4X gain. One sold silver ounce at $30 paid for each one of my credit hours at SUNY Albany. Never forgot that tid bit. Guess, when he begged me to get back in, yep 2000-2001, when no one was paying attention and Greenspan was about to open the spigots big time. I didn’t act till 2003. And no, he hasn’t sold yet. He certainly doesn’t win every time, but he is very good at being very early, extremely patient, sleeping well, and thinking the whole time about the next totally ignored/hated asset class. You made a small error when you said the said the Fed acts quickest to wage inflation. You should have specified that applies to worker wages only. If executive bonuses explode because of the asset bubbles caused by the Fed, and if Wall Street can manage to reap huge profits from those bubbles, why that’s just alright with the folks at the Fed. The two reports I find most interesting (that are ignored) are the NYSE volume figures and the fed’s flow of funds statement. NYSE volumes have exploded since the election. Looks like a short cover rally to me. All that trade deficit cash stashed in Asia is looking for a new home, just as dalio said it would. Inflation is going to skyrocket. Great timing. Just as globalists are about to lose ground to populist/nationalist forces due to popular reaction to the results of idiotic central bank policies worldwide, they crash the world economies by raising rates “because they must.” It will then be blamed on populist, anti-EU movements, because, after all, the economy has fully “recovered” from the GFC and is just great right now. The stock market’s record levels “proves that,” right? And then, those of concentrated wealth buy up assets from the rest who are forced to liquidate. Rinse and repeat until there are no more chairs left when the music quits playing. I am starting to hear the cries for an inheritance tax after the pitchforks are put away. The problem is, by the time the pitchforks do their work there won’t be much, let alone actually start over. The ‘takers’ were/are focused and played a long game. The fleeced were happy enough for 3 hots and a cot + a 40 hour week and a car to drive around in. We stood by while the Unions were broken, jobs outsourced, and the economy financialized. We are now witnessing the end game in vouchered education, ‘entitlement reform’ including privatised Social Security and a bigger stranglehold of medical insurance companies. I just hope there’s room in the soup lines. I hear there’s free music. Some war will “fix” that. The greatest social program in disguised: rage war, subsidize the military industrial complex to create jobs (and to reduce the number of people looking for one because you won’t when you’re dead). Probably not! Yikes! Was this guy paying attention at all during the last few years? I’d be curious to see how many rate hikes he predicted for the last five years– I know he was wrong on 2016, as were most economists. The Fed says three this year, the market consensus is two, and I still wouldn’t be surprised if we only get one (or zero!). One shock is all it takes, whether it be Asia or Europe, for the Fed to back off and start talking about risks to the global economy. Most of which is down to currency devaluation, which provides a nice boost to inflation due to rising import prices, but is not ‘good’ inflation (i.e. wage inflation) and does little to resolve their long-term structural problems. Anyways, I appear to be the outlier now in my views re interest rates, but I’m pretty comfortable there. Also, seems the Fed was a bit more dovish yesterday than expected, which very slightly adds some conviction to my beliefs. Like I said, a few road bumps are all the excuse the Fed needs to delay raising rates. I can definitely see your point of view. This interest rate flip-flopping has gone on for years at the Fed. So I have trouble with it too … but now I just see too many indications that central banks are trying in minuscule little micro-steps to pull back before something really big comes apart. Whenever I read a report about the immanent death of the great bond bull market, I think about the bias of the author…is he talking his book and would like to scare all the ‘weak’ bond holders into selling their bonds to him, because he actually believes the opposite of what he writes here. So much misinformation and disinformation out their its hard to know who to believe. Occasionally though, about once per generation a massive debt bubble pops and deflation hits hard. PMs drop some along with real estate while cash rises in value and to an extent bonds ride along higher in value. Population growth has cooled since the baby boomer peak so the demand for debt has slowed and natural inflation slowed along with it. Interest rates now seem to float higher due more to risk and manipulation than anything else. If foreign economies tank expect a flight to US markets and bonds. The PM debate is really decided on which type of crash is more likely and which one is overdue. He will stuff franklins down your faces until everyone is smiling? I for one would welcome a 20% correction. My money is all squirrelled away in low-risk, low-income stuff. I took last year’s return and treated myself to a donut. Then remembered I had to pay taxes, so I took a loss on the donut. Well after today, can we blame “investors”. A small drop in the S&P, and the Fed’s already pulling back from rate hikes. hmm , a 900 billion dollar asset under management sounds the alarm . Well as of today 02/01/2017 the feds were dovish , vix at 10 year lows, probability of rate hike decreased . Everything is beautiful . feds are pulling back to accommodate trump stimulus/military spending. feds make the rules breaks the rules. 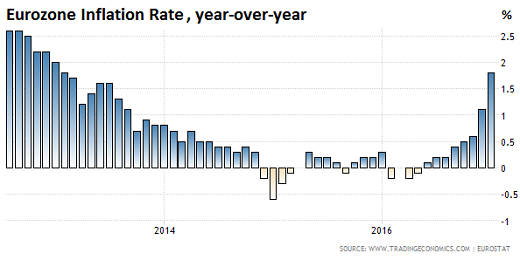 we will see if when the inflation target will invoke rate increase Why are all central banks inflation target 2%. ? It’s literally an arbitrary number they came up with. Other central banks have debated targeting inflation of 4%, and other numbers– again, all arbitrary. I mean, there’s reasons they target inflation, but the target number itself is arbitrary. Why not 1.5%? Why not 3%? Arbitrary. Interest rates compared to inflation are at their lowest in at least 500 years. I’m puzzled that anyone would think that real rates could be near zero forever. If a low interest rate is a ‘good’ that has value. what is the source of this good or value? Who gives up something so the borrower can enjoy an artificially low rate? The low returns on deposits aren’t enough to explain the gap. There aren’t enough people willing to lend or deposit at the rate of inflation, or lower. Many other countries are as indebted or worse. Where do you get a loan when not a living soul will give you one? A viable solution only if you have lots of births and as they mature they accept the taxes and diminished services.